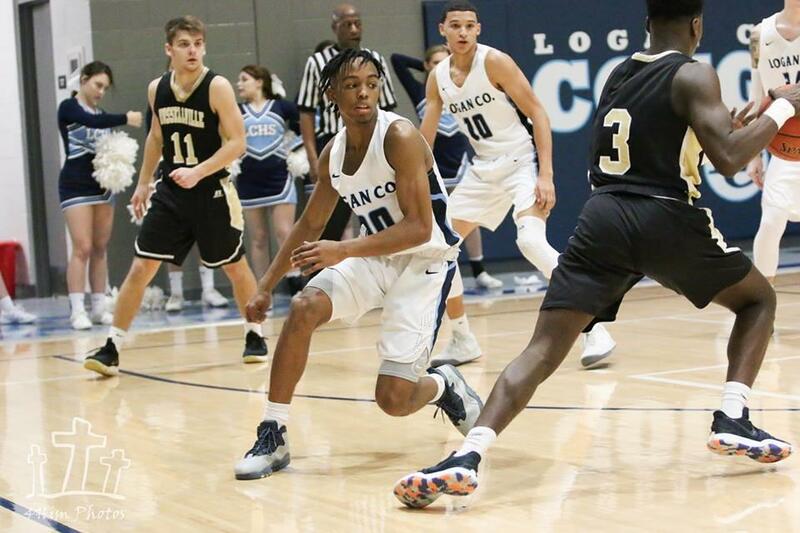 After Third Bell’s two free throws with 1.4 seconds left in the half Friday, the Logan County Cougars took a 31-18 lead over Russellville into the intermission of the Clash of the Cats Friday. The Panthers chipped away at the lead frequently, but the Cougars finished the game with almost exactly the same margin at 61-47. Coach John Tinsley’s team built that lead with timely offense and stingy defense. 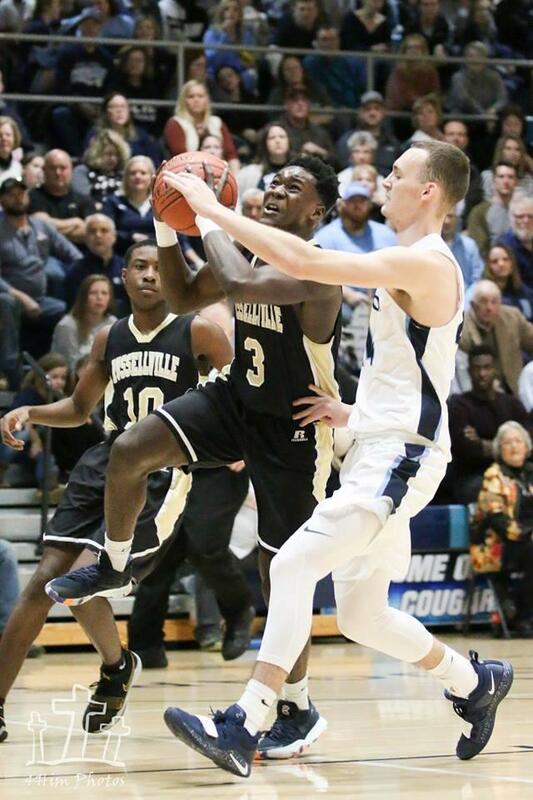 In fact, the Cougars held Panther star Jacob Naylor to a pair of free throws in the first quarter, and he didn’t hit his first three-pointer until 1:12 remained in the half. Naylor has spent much of the season as the leading three-point shooter in the state and in the top 10 in the state scoring. 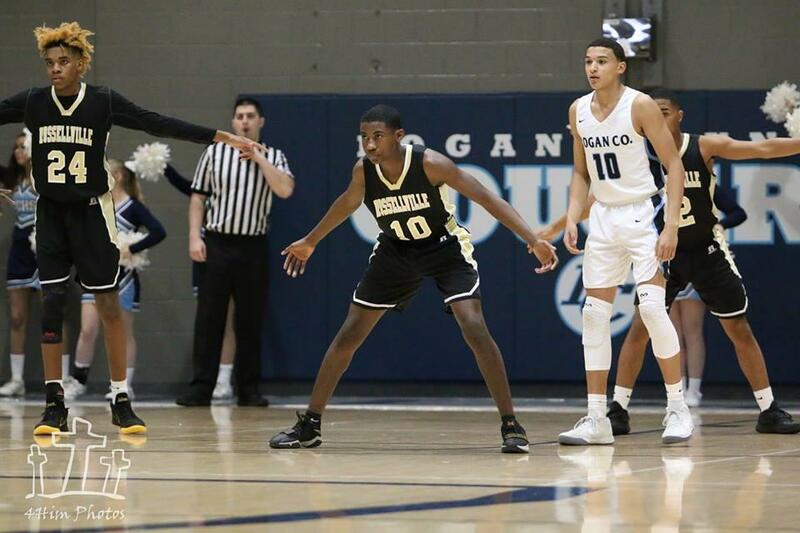 Naylor finished with 19 points—about seven below his average—and helped the Panthers make a late run, but he hit just 5 of 15 shots, including 3 of 10 from long range. Naylor did, however, hit all 6 of his free throws attempts. The Panthers as a team hit 9 of 10 free throws. The Cougars went 17 of 24 at the line. Three-point shooting proved to be difficult for both teams. Each hit four with the Cougars putting 22 and the Panthers one fewer. Macarius Hines hit the other three-pointer for the Panthers. Logan’s depth was an asset. Tinsley kept sending in fresh players to the floor, which proved to be helpful when foul problems arose. 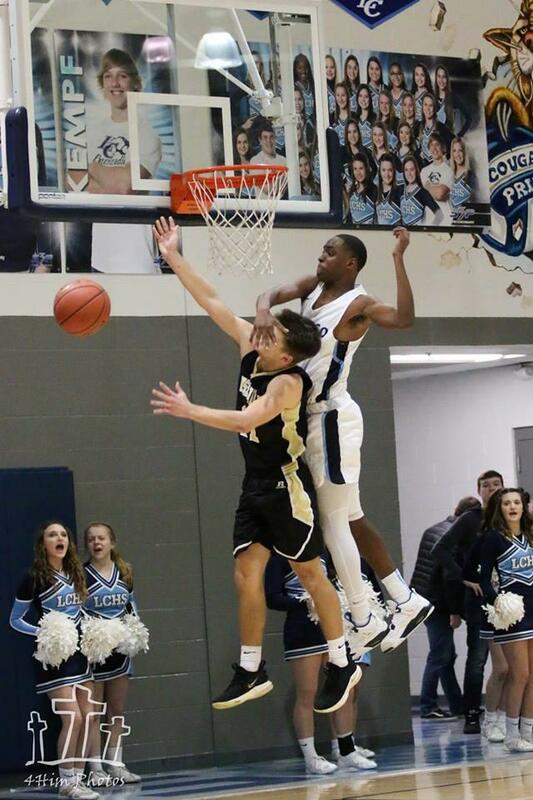 Former Panther Anthony ‘Rooster’ Woodard, who burned RHS in the first round of the Clash earlier this month, picked up his second foul with 2:23 remaining in the first quarter. He managed to use his time on the court well and finish with a team-high 18 points. Cougar Tommy Krohn played a huge role in the win. He often handled the ball outside but moved into the post, too. He also was responsible for much of the defense on Naylor. He finished with 14 points. Chief ball handler Bell contributed 13 points and was all over the floor helping his team win. The Cougars had a 35-28 rebounding margin. Logan does not report individual statistics. Kemp and Naylor each pulled in six rebounds for the Panthers with Josh Allen adding five. Logan moved its record to 4-1 in the district with the Panthers fell to 0-4. 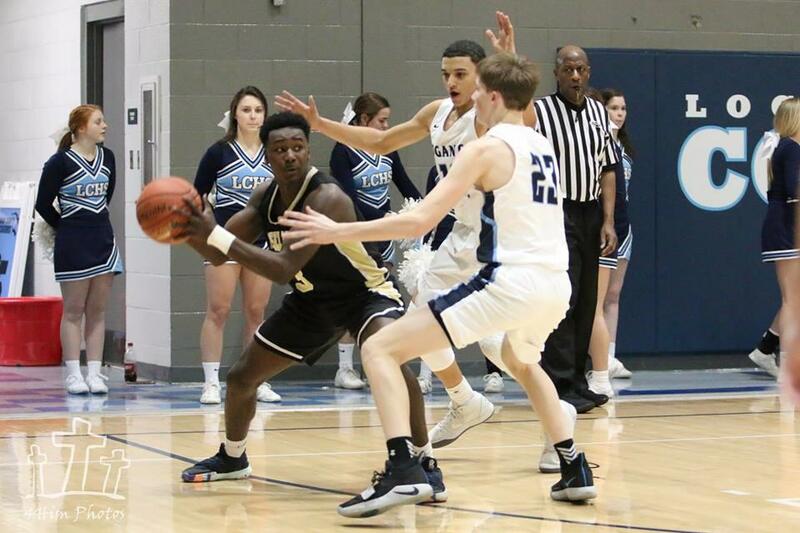 If the Cougars win at Todd Central Thursday and the Panthers fall at Franklin-Simpson Friday, the Cougars and Wildcats will tie for the top seed in the upcoming district tournament.